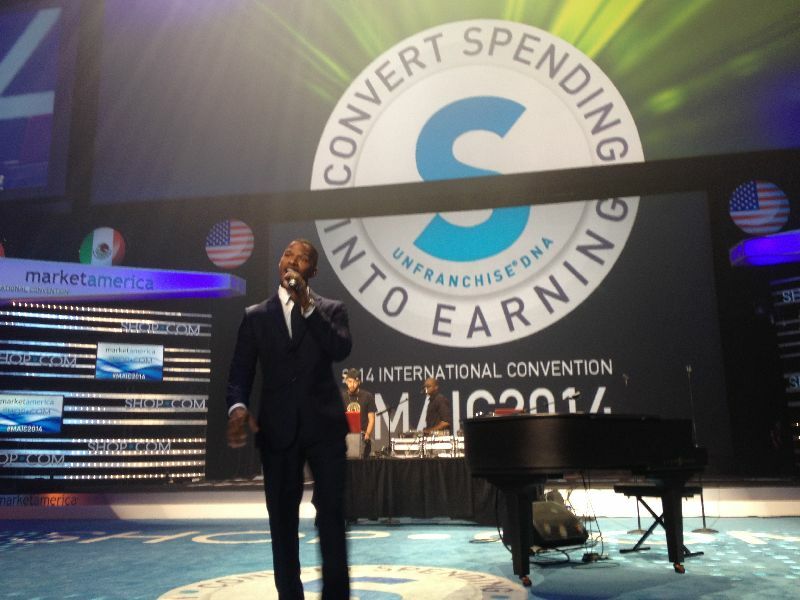 To say that the 2014 Market America International Convention isn’t your typical business conference is the understatement of the century. This isn’t your normal business conference because this isn’t your normal business. We are built on product, and powered by people – and both were on full display today. 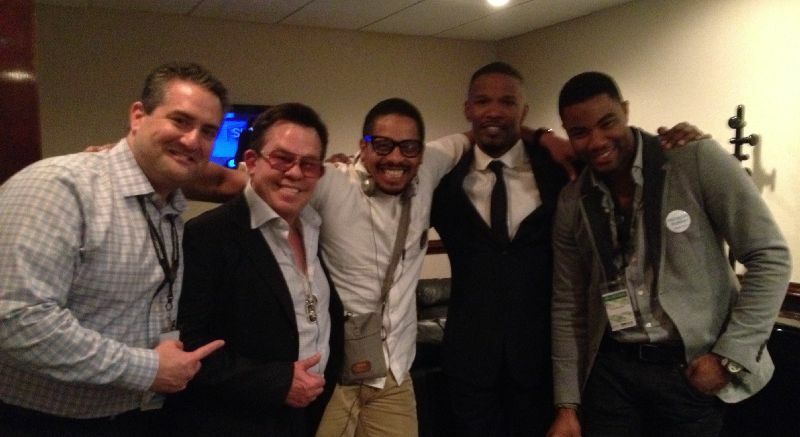 We even had a touch of star power in the house today too, with Fat Joe, Scottie Pippen, Rohan Marley, and Jamie Foxx all coming out to show some love for Market America. 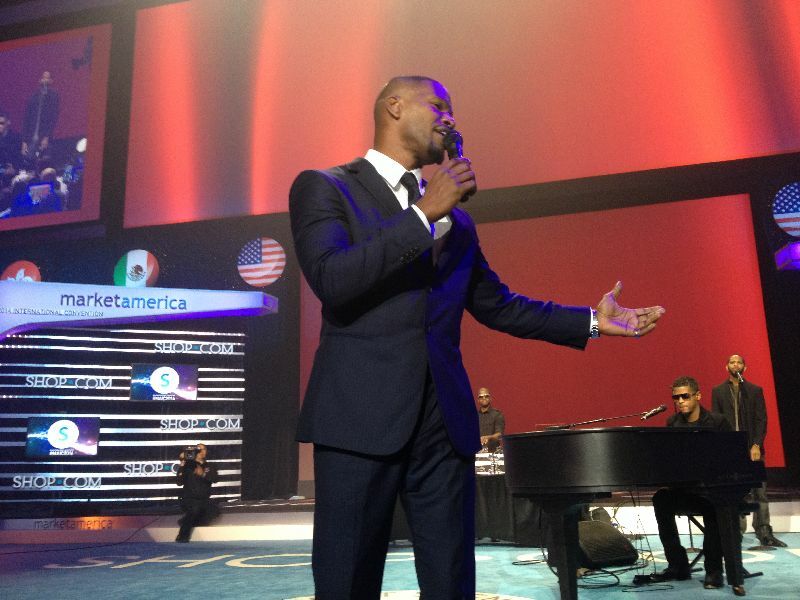 The show started with an incredible rendition of our national anthem by Conquer Entertainment’s very own Embassy Tide – which brought the full house of over 20,000 entrepreneurs to their feet. 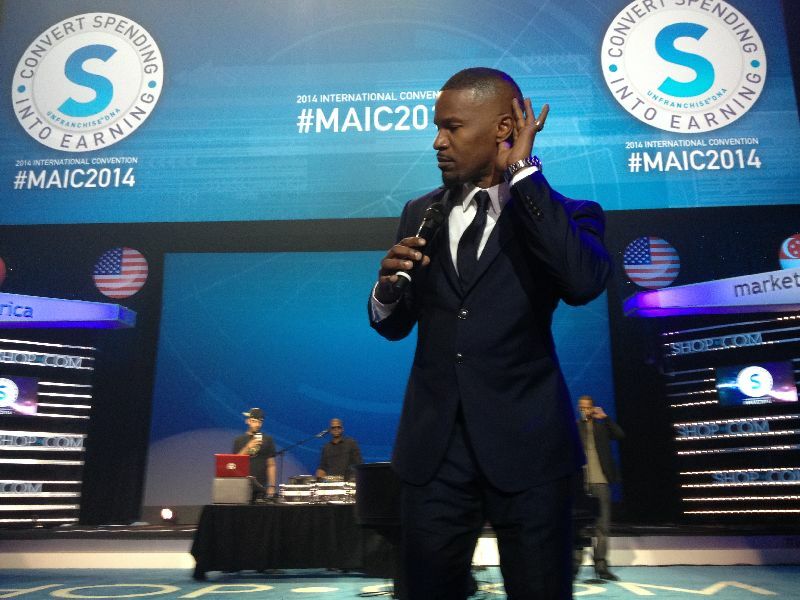 But this wouldn’t be the only musical delight of Day One, as the crowd would later discover with an epic performance from the incomparable Jamie Foxx. Jamie is such a dear friend of Loren and mine, so to have him come perform for us out of sheer love means more to me than words can convey. The performance he gave today was one I will never forget, and I have a feeling everyone in the crowd felt the same way. 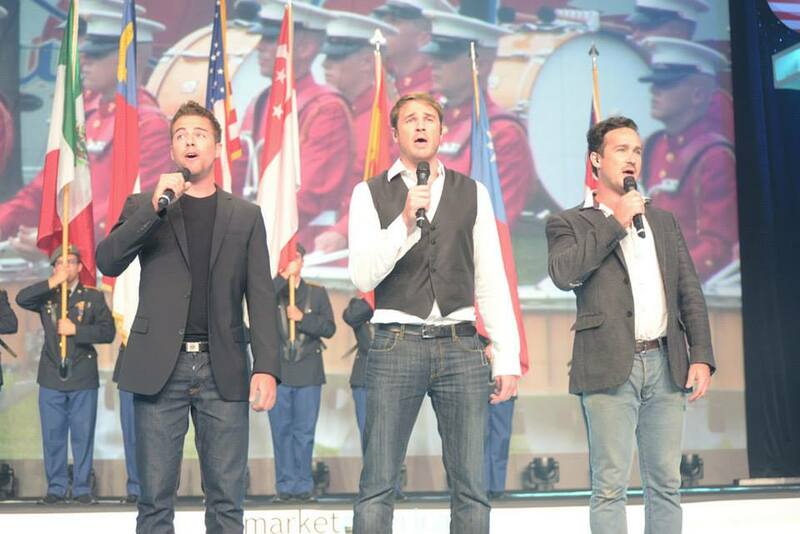 Did I mention this is a business conference? Today we also heard from Dennis Franks and Sue Pasquale as they debuted a brand new TLS product: TLS Green Coffee with Garcinia Cambogia – which is perfect for everyone trying to #FindYourFit. We learned about retailing from the professor himself – Kevin Buckman, and learned how we are simplifying the business from Andrew Weissman and Jim Winkler. 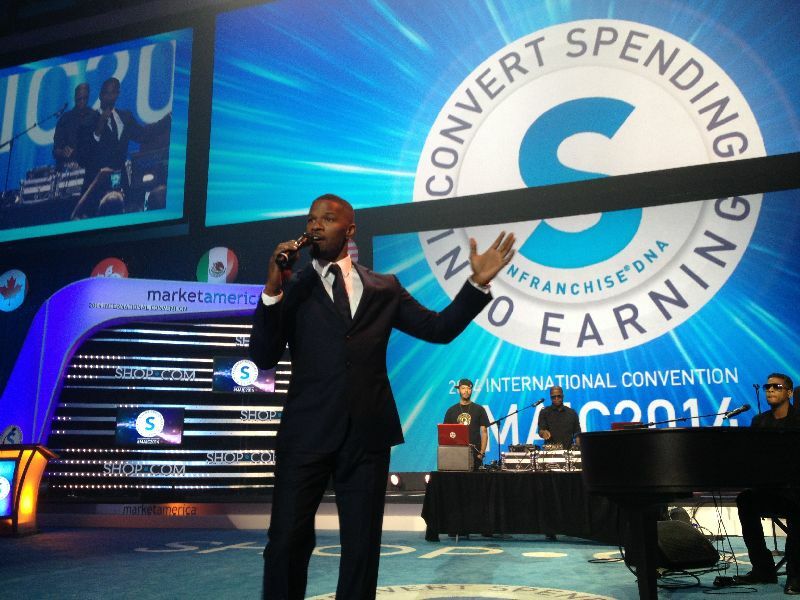 In all, we’ve got some great new tools to help our UnFranchise Owners build massive success with their business! 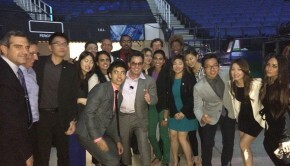 We celebrated new Pin Levels and discussed just how crucial those result producing activities are to your success. Doing a little consistently in this business adds up to a lot, and today we saw just what happens when you follow the plan. 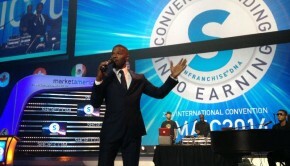 We learned so much today – about new products and new tools to help you grow your UnFranchise! But we’re only getting started. Remember, this just Day One of your not-so-average business conference. Who knows what Day Two and Three will hold? All I know is I’m head over heels for this business. 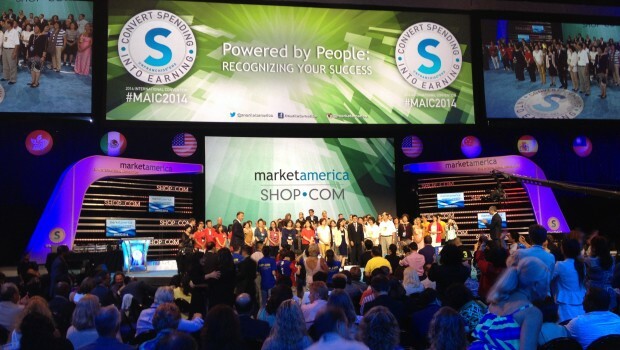 Just when you think Market America cannot get any better! Today was absolutely amazing. 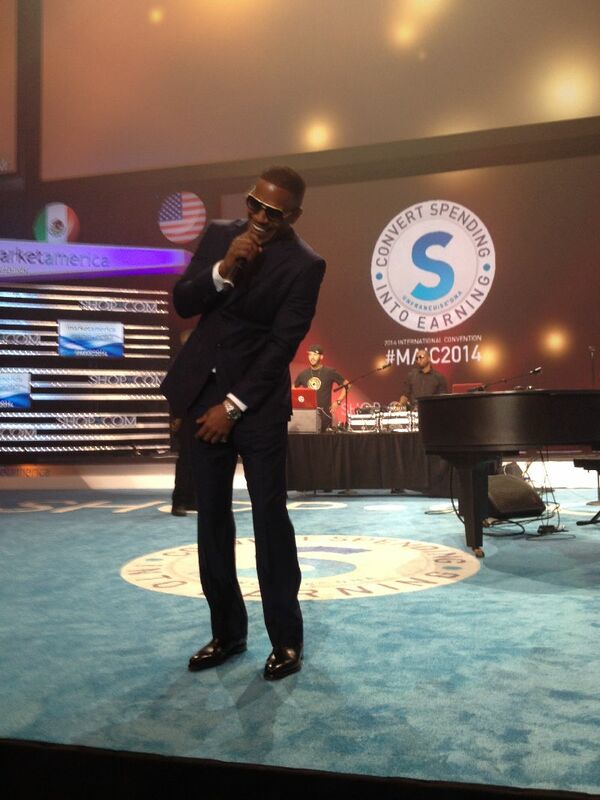 There was energy, engagement, education and edification. This business truly is like no other. I am continually impressed at how the company continues to broaden the opportunity and product offering, yet stays true to its true blueprint and identity. 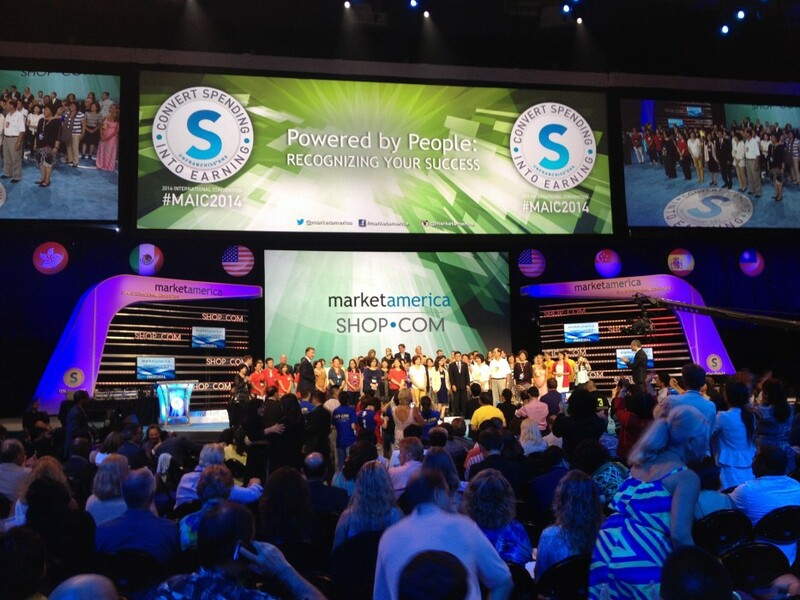 Market America is consistently seeking to appeal to more individuals and families while taking care of those that have already aligned with the company. 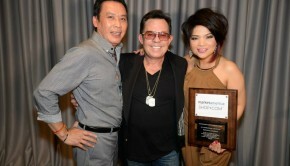 Simplification of processes, while increasing product offering to include roadside assistance, identity protection, partnering with Marley Coffee and new products in multiple product lines including Motives by Loren Ridinger, Lumiere De Vie and TLS Weight Loss solution will provide us as business owners with more revenue generating opportunities. This is no ordinary business at all!